English Phrases – Could I have a word with you? / Do you have a moment? The first phrase I want to teach you today is actually a question; it is “Could I have a word with you?” Now, this question simply means can I talk with you, and it’s used in a very specific situation. “Could I have a word with you” is used when you are in a group of people, there are multiple people. For example, in a meeting at work with your colleagues, and you want to talk with just one person from the group alone, privately without the other people listening. So the question “could I have a word with you” is a polite and indirect way to express to that person that you want to talk to him/her privately, away from the other people. A similar question for asking to talk with somebody is this: “Do you have a moment?” “Do you have a moment?” is more frequently used when you’re just talking to one person. For example, you called a person on the phone, or you went to your co-workers office to visit them, and “do you have a moment?” is a way to ask if the other person has time to talk with you, if they are available and not busy. So, “do you have a moment?” is a way to respect that person’s time. The person might answer “Yes, of course,” and then you can continue the conversation; or the person might answer “I’m a little bit busy” and in that case, you’d have to wait until later to speak with that person. Now, “Could I have a word with you?” and “Do you have a moment?” are a little bit formal. They would be used in more professional situations, but if you’re in a more informal situation, like with your friends, then you would probably ask somebody like this: “Could I talk to you for a minute?” or “Could I talk to you for a second?” This is just the more informal way of expressing your desire to speak with that person. Now, some students ask me the difference between talk to, talk with, speak to, and speak with, and in this case, there really isn’t any difference between them. So you could say “Could I speak with you for a minute?” – that’s also possible, but I think the most common way to say it is “could I talk to you for a minute”. So now you know 3 ways to ask to speak with someone else: “Could I have a word with you?” for asking to speak with someone privately, and get them away from a group, “Do you have a moment?” as a way to ask about the other persons availability for a conversation, and the most informal phrase, “Could I talk to you for a minute?” which you could use among friends. 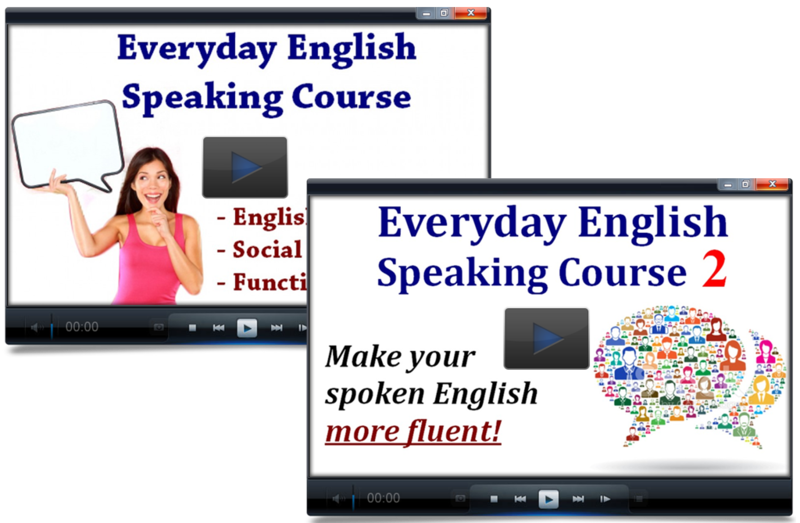 That’s all for today, so tune in tomorrow to learn more spoken English phrases.